Katie combines her experience in interior design and her fabulous organizational skills to coordinate all the intricate details involved in building a home from the ground up. She might just become your new best friend during the process. 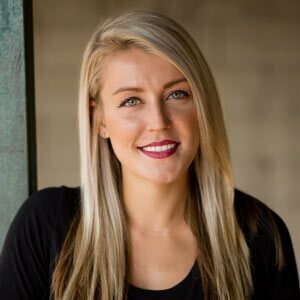 “I love each project, the creativity, the attention to detail, the privilege to give clients their dream home, and the relationships we form with our clients.” Outside of work, she enjoys spending time with her fiancée and dog, her mornings at the gym, taking trips with family, and just relaxing around a good fire with friends.